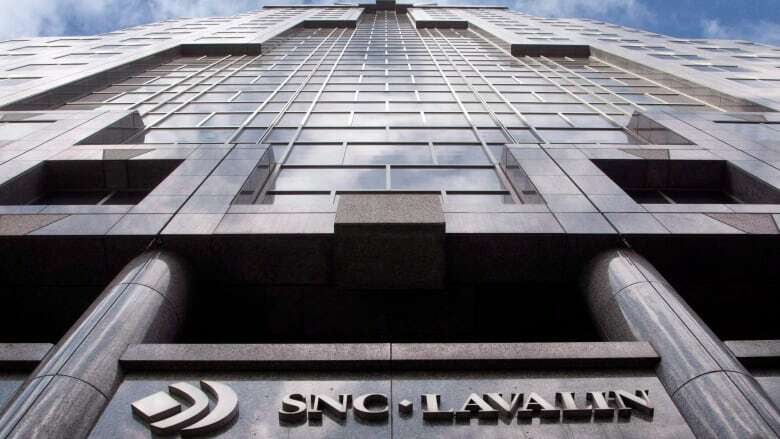 Montreal-based SNC-Lavalin Group Inc. and two of its divisions have been charged with corruption and fraud, the RCMP says. Company to plead not guilty in case also involving SNC-Lavalin Construction, SNC-Lavalin International Inc.
SNC-Lavalin Group Inc. says it will enter not guilty pleas after the RCMP announced today that the Montreal-based company and two of its divisions have been charged with corruption and fraud. The divisions are SNC-Lavalin Construction Inc. and its subsidiary, SNC-Lavalin International Inc., police said. "The alleged criminal acts surfaced as part of the ongoing criminal investigation into the company's business dealings in Libya," the RCMP said in a release. The Mounties allege that between August 2001 and September 2011, the company and its subsidiaries gave almost $47.9 million to Libyan government officials to use their positions to influence government decisions. Police also allege that during the same time period, the company defrauded the Libyan government and other entities of "property, money or valuable security or service" worth almost $129.8 million. Three former SNC-Lavalin employees previously were charged by the RCMP in the probe, which began in 2011. SNC-Lavalin responded to Thursday's police announcement by saying the charges laid against the businesses are without merit, and not guilty pleas will be entered in the interest of its employees, clients, investors and stakeholders. "The charges stem from the same alleged activities of former employees from over three years ago in Libya, which are publicly known, and that the company has co-operated on with authorities since then," SNC-Lavalin Group president and CEO Robert Card said in a release. RCMP Assistant Commissioner GillesMichaud said corruption of foreign officials undermines good governance and sustainable economic development. "The charges laid today demonstrate how the RCMP continues to support Canada's international commitments and safeguard its integrity and reputation," Michaud said in a release. CBC News has confirmed with sources familiar with the investigation that the criminal probe of past executives and SNC-Lavalin is ongoing, suggesting there could be additional criminal charges laid in the future. Dundee Capital Markets analyst Maxim Sytchev said the criminal charges are not likely to affect SNC's ability to do work for government agencies. He said the charges will bring "negative headlines" but he still recommends the company's stock. 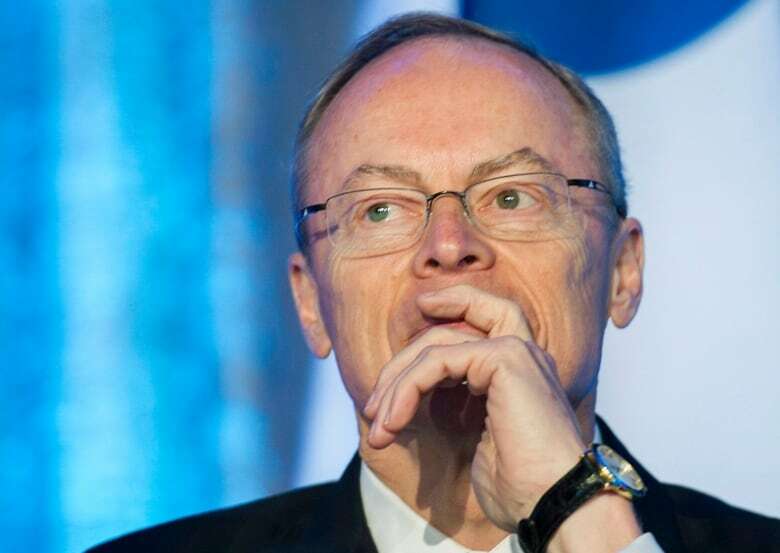 Quebec's securities regulator, the Autorité des marchés financiers (AMF), said the charges against SNC-Lavalin in no way affect the company's ability to bid on public contracts in the province. The company was previously barred for two years from bidding before being reinstated last year. AMF spokesperson Sylvain Théberge said the new charges are related to events that happened before the regulator asked the company to make changes and improve its practices. The first signs of trouble for SNC-Lavalin came in late 2011 when the Libyan regime under the dictatorship of Moammar Gadhafi was crumbling. SNC executives were implicated in working with Canadian mediator Cynthia Vanier, who was arrested in Mexico and accused of trying to help Gadhafi's son Saadi move from north Africa to Mexico. In December 2011, a whistleblower inside SNC-Lavalin wrote an anonymous letter to company executives and members of its board of directors alleging that senior executives within the construction branch were paying bribes and siphoning off hundreds of millions of dollars from mega projects won under the Gadhafi regime. In February 2012, two of those executives – executive vice-president of construction Riadh Ben Aïssa and his financial controller, vice-president Stéphane Roy – were forced to resign. The company began its own internal audits while police in Switzerland and Canada began investigating the company's activities. That sparked a string of criminal prosecutions. Police in Quebec charged former CEO Pierre Duhaime, Ben Aïssa as well as former McGill University Hospital executive Arthur Porter with orchestrating $22.5 million in bribes in the awarding of a hospital project to SNC-Lavalin. In April 2012, Ben Aïssa was arrested in Switzerland and accused of bribery, money laundering and embezzlement tied to his activities in Libya. He has since been convicted and extradited back to Canada to face the McGill University hospital charges. SNC-Lavalin has been under a microscope since many of those revelations emerged. A number of the company's executives in their SNC-Lavalin International subsidiary based in Oakville, Ont., are facing prosecution, accused of trying to pay off officials in Bangladesh in a failed bid to win a $3- billion contract to build the Padma Bridge. In May 2013, a joint investigation by CBC News and the Globe and Mail uncovered a system of secret payments woven into SNC-Lavalin International's bidding on projects in countries across Africa and Asia. The payments were being made to middle men and, in some cases, public officials for the procurement of engineering, design and management contracts. To date, only Ben Aïssa has been convicted of bribery stemming from the prosecution in Switzerland. Other cases involving the company, including the McGill University hospital and the Padma Bridge projects, are still before the courts.